I requested this book for review ages ago knowing I would love it and I certainly did so much so that I'm currently awaiting my preorder of a signed edition to drop through my letterbox from waterstones any day now.. For me Lucy's Worsley's historical fiction really hits the spot. It's well informed and clever and I can gladly recommend it to my students without worrying that they'll get really misinformed ideas about the historical period covered. 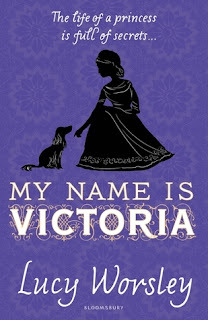 I've been a bit geeky over Queen Victoria of late. I didn't see the show on ITV about her early reign but I read the book linked to it and was left wanting more and this book helps to prolong my geeky obsession. I've ended up fascinated about young Victoria and the left she lived prior to becoming Queen and the challenges she faced from the way she was forced to live under the Kensington system and how she broke free of it once she was able. 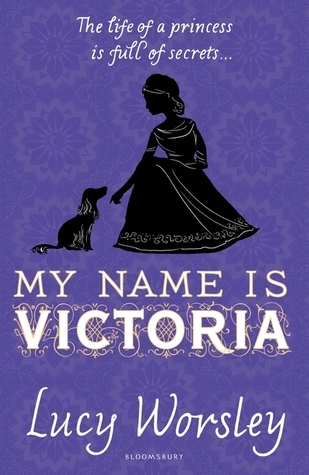 My Name is Victoria focuses on Victoria as a child and shows you how the Kensington System worked and gives you real insight into how life may have been like for Young Victoria. I really enjoyed getting to know her and see how her friendship with the daughter of the man controlling her develops and hers to change her path for the future. All in all historical fiction I can rave about. I loved it and want more like it from Lucy Worsley.